Confining an animal in any manner that prevents the animal from laying down, standing up, fully extending the animals limbs or turning around freely (as per Proposition 2 of 2008). 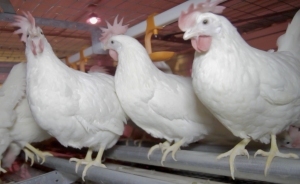 After December 31st 2019 confined egg-laying hens must be provided with at least 144 square inches of usable floor space. After December 31st 2021 egg-laying hens must be held in an enclosure other than a cage-housing system. The requirements of Proposition #12 were extensively reviewed at both the IPPE and the recent Midwest Poultry Federation Convention. It is anticipated that Proposition #12 will accelerate conversion of existing caged facilities to aviaries and also result in erection of new housing and even complexes especially in California in addition to producers shipping eggs and products to the state. Accepting the legality of both the California proposition and the East coast counterparts, it is anticipated that more hens will have to be housed in systems other than conventional and colony cages to supply designated markets. Despite the passage of ballot legislation on both coasts, the prevailing sentiment in the industry is that even by 2025 at least 35 percent of producing hens will remain in some form of confinement. It is possible that many of these flocks will be held in enriched colony cages in states not banning confinement. It is noted that enrichable cages were purchased by producers wishing to expand in the late 2000's as an insurance strategy in anticipation of passage of a Federal "Egg Bill" introduced as H.R. 3798, The Egg Products Amendment Act of 2012. The intention was to convert these installations to colonies by removal of partitions and installation of enrichments in accordance with anticipated legislation and the tacit acceptance of enriched colonies by the HSUS. As of February 2019, 15.7 million hens were housed under the rules of the Certified Organic Program and 41.6 million as "cage-free" predominately barn-housed in either aviaries or on slat-and-litter floors. A total of 57.3 million hens in other than conventional cages represents 17.6 percent of a nominal U.S. flock of 325 million hens in production but in effect 25 percent of the shell-egg flock comprising approximately 225 million hens.